Throughout Melbourne and in Australia overall we see a variety of colours and styles of waste and recycling bins. However, since the introduction of the Australian Standard for mobile bin colours in 2006 (AS4123.7-2006) we have hopefully seen more consistencies across the board. 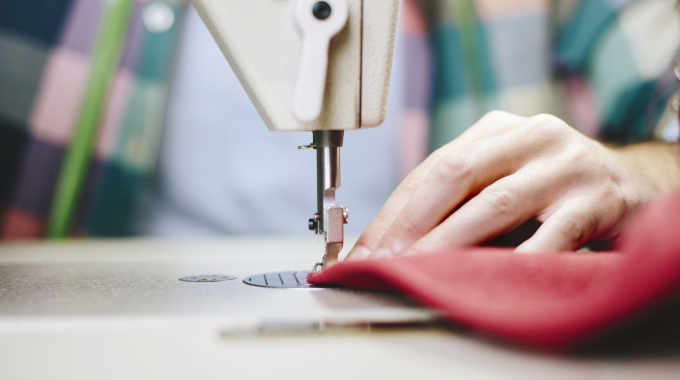 It’s great to have standard colours that can be followed to avoid confusion and contamination. Refer to the table below to view a quick comparison between Australia, New Zealand, United Kingdom and USA. NZ for quite some time had no formal standards in place with relation to waste and recycling colours. 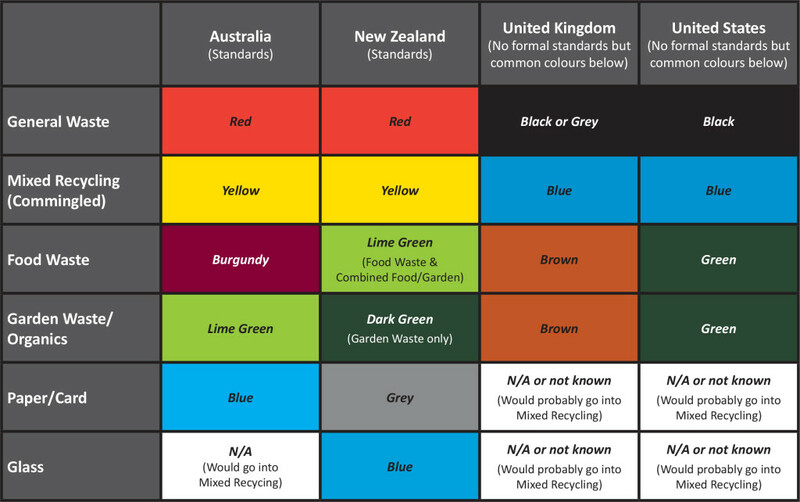 In 2015, WasteMINZ in conjunction with the Glass Packaging Forum and councils around NZ agreed upon a standardised set of colours for waste and recycling bins. As councils roll out recycling schemes the new colours come into play. Companies are also encouraged to utilise these colours for commercial waste and recycling. From what I can see the United Kingdom does not have any formal standards relating to waste and recycling colours. Although browsing through quite a few different Council’s throughout the UK it seems as though while there are no national standards there are definite similarities. Each Council offers different types of containers and bins – these include sacks (usually for garden waste and plastics), bins and boxes. Most Councils that I looked at offer a kitchen/food waste collection which is fantastic. 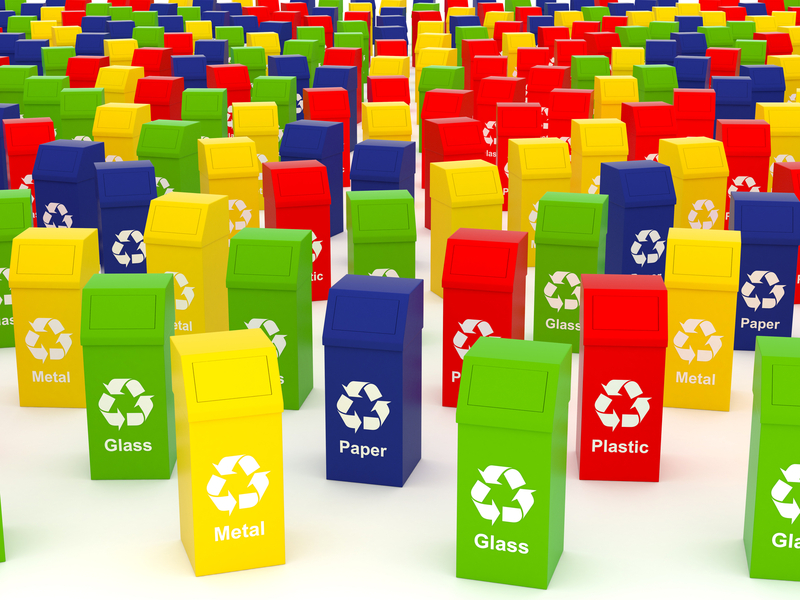 Throughout the US there are no uniform standards for waste and recycling colours and collections can differ greatly by state/province and also town/city. This in itself would be a great challenge! 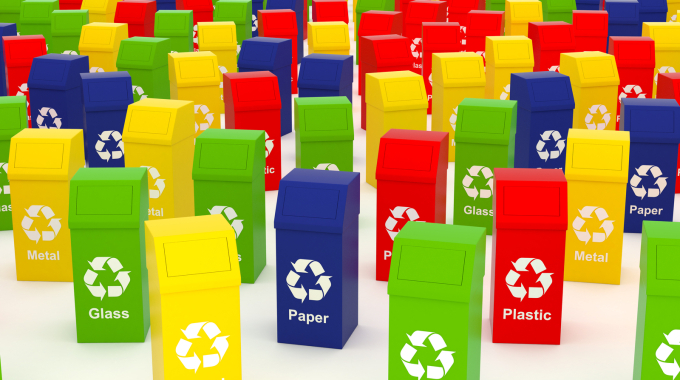 Interested in colour coded bins? For information on colour coded waste and recycling equipment we can offer your business please contact us.